After she retired from a decades-long administrative career, Joann decided to take a water aerobics class at her local YMCA. She knew the low-impact exercise would be good for her heart, but she was surprised at how much it improved her balance. Regular exercise offers proven benefits to people of any age: improved heart health, greater muscle strength and even a better mood. But some seniors cannot afford a health club membership to take water aerobics classes, as Joann did. Fortunately, anyone can reap the benefits of exercise without spending a penny. Here are five fitness options for any budget. One of the easiest, cheapest ways to begin an exercise routine is by walking. 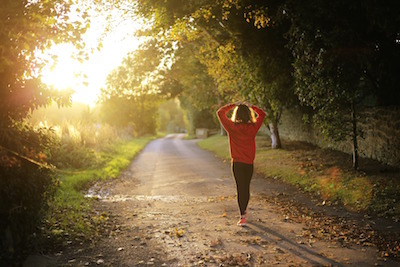 Numerous studies show that walking can have a positive impact on blood sugar levels, heart health and muscle strength—not to mention the mood-elevating effects of fresh air and sunshine! The main investment is a good pair of walking shoes. Seniors with balance issues may want to consider using a hiking stick, cane or other assistive device, especially when walking outdoors on potentially uneven pavement. Naturally, everyone should get their doctor’s OK before participating in even the mildest fitness activities. Seniors can turn their living room into a fitness center of sorts by exercising to videos. 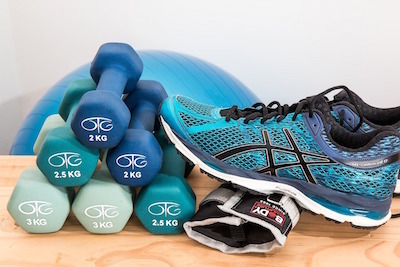 Video exercise programs can be found for free on sites like YouTube, or older adults can purchase DVDs that will provide years of fitness activities at a low cost. For more tech-savvy seniors, streaming services like Netflix or Amazon also can deliver a good workout right to the living room for a modest monthly fee. Besides being inexpensive, these fitness options offer the benefit of variety. A senior can choose a yoga workout one day and a high-impact aerobics program the next. Video gaming consoles like Microsoft’s Xbox aren’t just for kids. A variety of exercise games are available for folks of all ages. Seniors can choose their level of challenge, from dancing to extreme fitness. The initial investment in a gaming system can range upwards of $500, but for seniors with a healthy budget, video game exercises can be a great option for getting in shape. Fitness clubs offer a wide variety of classes, a weight room and often a pool, but they aren’t the only option available to active seniors. 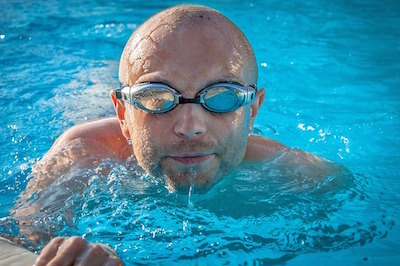 Golf, tennis and swim clubs also offer serious exercise and recreational opportunities. The cost of these memberships can vary widely, based on the type of club, location and amenities offered. Non-profit organizations like the YMCA often offer special senior memberships with reduced monthly pricing. For more affluent seniors, engaging a personal trainer to come to the house can provide customized exercise routines that address each person’s specific needs. Lacking core strength? A personal trainer can create a plan for that. Workout challenges related to arthritis? Again, a personal trainer can help with that. Personal trainers can be one of the most expensive options, but they provide the most personalized workout plan, too. Given the considerable benefits of regular exercise, seniors should be encouraged to stay active. And if budget is an issue, they can tailor their type of workout to the cost involved. From a free daily walk in the fresh air to more expensive home visits from a personal trainer, there’s a senior fitness option for every budget. Maria Geizer is community relations director at Home Instead Senior Care Saratoga Springs. Home Instead provides non-medical home care to seniors living in Saratoga, Warren and Washington Counties. Call (518) 580-1042 for more information. This article was taken from www.Caregiverstress.com and www.helpguide.org.